The internship resume sample can be individualized for your particular internship search. Insert your own education, achievements, co-curricular activities and goals into the structure of this sample resume. Develop a persuasive resume by emphasizing your strengths including academic accomplishments and qualifications, volunteer and community involvement, the technical and practical skills you have acquired, leadership roles, part-time jobs, travel and any other relevant activities. 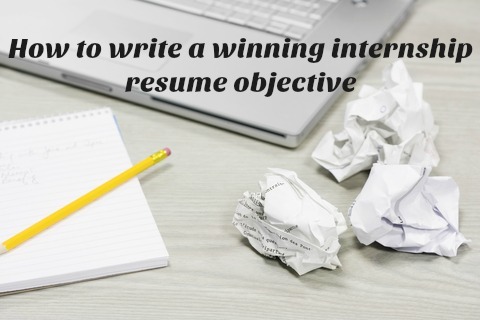 Use the sample internship resume objectives to write your own convincing objective. Results-driven marketing student with a strong academic record seeking a marketing internship in the beverage industry. Excellent verbal and written communication skills. Proven experience in conducting market research and analyzing marketing data. Seeking a marketing internship which utilizes my strong interpersonal skills and ability to quickly establish rapport with diverse customer groups. An energetic and organized student with an exceptional work ethic. Insert your own relevant information into the structure of this internship resume sample. Customize your resume for the different internships you are applying for. Make your resume relevant for the specific employer. Your internship resume objective is key to getting your resume noticed and read. Find out how to develop a compelling resume objective. Adapt the sample internship cover letter to make sure your resume gets proper attention. An informational interview is a good route to securing an internship. Use this sample informational interview letter to request a meeting. Take time to create a convincing and informative resume for your internship application. 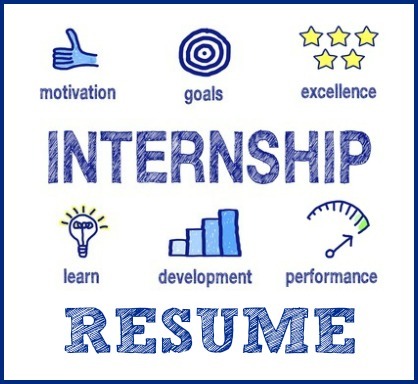 You want a solid internship resume that you can adapt and update for future opportunities. A recent internship survey from the National Association of Colleges and Employers (NACE) provides an indication of what employers are paying interns for their work. In general, the closer to the completion of student's degree, the higher the internship wage. A college senior, for example, averages 26 percent more than a student who just completed the freshman year: $17.57 versus $13.91 per hour. Similarly, the higher the level of the degree, the higher the wage. According to NACE’s latest intern compensation report, the average hourly wage for a master’s degree candidate, $21.93, is 35 percent more than the average wage rate for an intern earning a bachelor’s degree, $16.21. Importantly, however, more than 60% of interns in the US are eventually offered full-time jobs. Increase your chances of getting the internship position using this internship resume sample.